I need help with troubleshooting a DIY blocking filter for Natural light. I modified a Canon Powershot A490 to shoot only IR. I removed the IR-block filter (right in front of the CMOS), and installed exposed undeveloped film. I've read that two cheap Natural light block filters are either exposed, undeveloped film or unexposed, developed film. one is supposed to provide clearer images... I installed exposed undeveloped film in the same location the IR-block used to be. As per request, the information was added. The film was exposed to natural light (in a whole roll) and from there, I made a point of carefully selecting patches from which to cut the film. Extreme care was made to ensure the CMOS, and film was not tainted by dust and finger oil. The CMOS retainer has a small "compartment" recessed into the lens housings where the original filter was. I placed the film in the recessed area, which has a small rubber seal fitting between the CMOS and the next lens (which remains untouched). The film has no gap that would otherwise let in light. Originally I used three strips of film, but upon activation found that the camera had no light coming in at all. I cut it down upon that to one square of film (correctly sized). The camera does work- exactly as a camera should- with this one tweak.  The film has a purple blur near the edges of the camera, and it is hard to focus/see the subject of the photo I am going to take. This is a little frustrating as you can see... I know IR is gonna have a red tint to it, but nothing I've seen has had this intensity of tint. If you can advise me to a cheap yet effective solution, I would be extremely grateful. Update (sorry school has taken priority lately) After some more testing, I can conclude that I was using the wrong type of film. Unless I am mistaken, I believe that the film reduces most IR input due to the silver content in c-41 process film and does not block all natural light (I have found true-color in a photo by comparing it with the photo subject). I have done some more research and believe that unexposed, developed c-6 process (slide film? I am going off of memory here) would be better. It allows IR to pass through, and because there would be no exposure, it would be filled with dye, obstructing natural light. This is an experiment. I will update with any info I find, but any added input is extremely helpful. If you want to use film as an infrared filter, you need to use developed color film. Whether it should be unexposed or exposed depends on whether it is slide or negative film. Regardless, you should not expect great image quality with these materials because they were not designed to be used as filters. Using developed film as an IR-pass filter is just a cheap way to experiment. Considering that mirrors reflect UV and IR, I would expect the silver in black and white, as well as undeveloped color, film to block both visible and infrared light from passing through. The silver in color films is washed away during the development process. Another issue is that refraction of light through film is likely different from the glass filter you removed. This would affect the camera's ability to focus. As for the purple tint, I suspect the dyes in film block light only to around 600nm because I am still able to see through it. 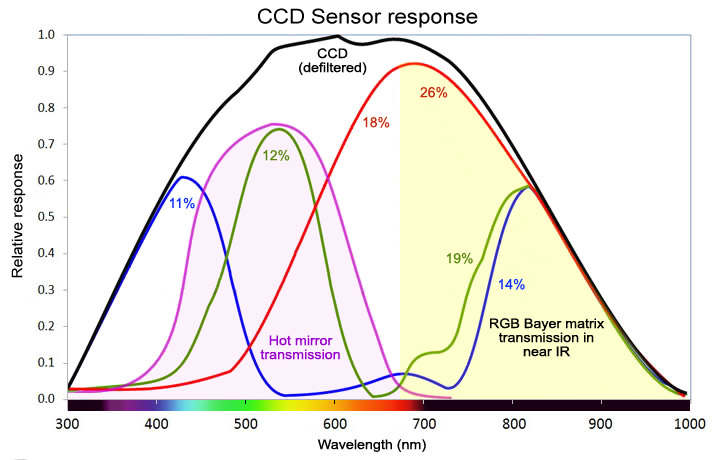 Standard IR-pass filters block to about 720nm. The longer the wavelength, the more monochromatic your images should appear. If you intend to continue taking infrared photos, you should get a glass IR-pass filter. They are fairly inexpensive. You can replace the IR-cut filter in your camera with plain glass or just leave it out entirely, if your camera can focus without it. Not the answer you're looking for? Browse other questions tagged canon diy infrared-conversion or ask your own question. How can I make my own film scanner using a DSLR camera? Which lens serves best as the only lens on a cropped body for a beginner: the 40mm f2.8 or 50mm f1.8?